Drew Connor has filed a class action lawsuit against Ford Motor Company and Roush Performance, claiming the companies defrauded buyers by building more Ford Mustang BlackJacks than originally advertised. 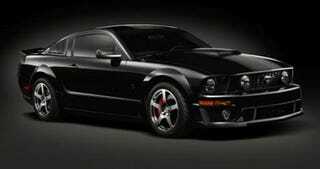 Remember the Ford Mustang BlackJack? No? We didn't either. As one of the million or so Mustang variants, we had to go hunt down the details on the thing too. The car was a limited production run of 100 all-black 430 HP 'Stangs with a price tag of $58,000. Turns out the limited-edition run of 100 was per year over two years, so there's 200 of the cars running around. That's where the rub comes in.